The Organisation for Security and Co-operation in Europe is pulling its mission out of Georgia, after its mandate expired on Thursday. 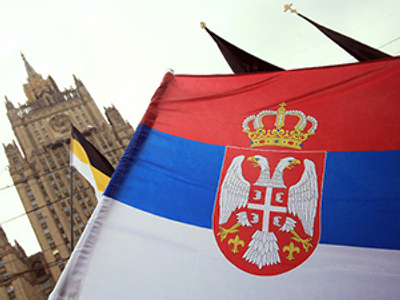 Russia insists a separate mission needs to be formed in the newly recognized states of Abkhazia and South Ossetia. “The mandate of the OSCE Mission to Georgia, which has incorporated an office in Tskhinval, is not merely running out timewise, it has been used up in essence,” said the Russian Foreign Ministry. The Ministry also complained of unwillingness on the behalf of other member countries to strike a new deal. “Instead of a business-like dialogue on tasks and modalities for new OSCE presences, some countries have simply proposed extending the former mandate of the OSCE Mission to Georgia, which would mean the organisation's complete separation from reality,” said the Ministry. The deputy head of the mission in Georgia Gottfried Hanne said on Thursday that there was a real need for monitoring to continue, because the situation had “not returned to normal” following the fighting. The mission opened in 1992 during the first wave of bloody conflicts between Georgia and South Ossetia among other things. The mission tries to promote a peaceful resolution of tensions between Georgia and South Ossetia, tensions that led to the armed conflict in August. The mission employed around 200 people. However, a special dispensation has been granted for twenty OSCE observers to remain in Georgia – but outside South Ossetia – until February 19.